Harvard Catalyst’s big data initiative facilitates unique collaborations for scientific discovery. Clinical trial data collected by pharmaceutical companies offer a rich, massive resource for medical research that typically goes untapped. The data can include patient characteristics, lab results, clinical chemistry, physician assessments, side effects and more. In standard practice, analysis of this data focuses solely on whether the therapeutics and interventions are safe and effective. But if academic researchers could reanalyze the data with new techniques or different questions in mind, they could find many other useful medical results. Companies, however, tend to keep their clinical trial data confidential. Even when they make their data public, researchers often face administrative and financial barriers to studying it. 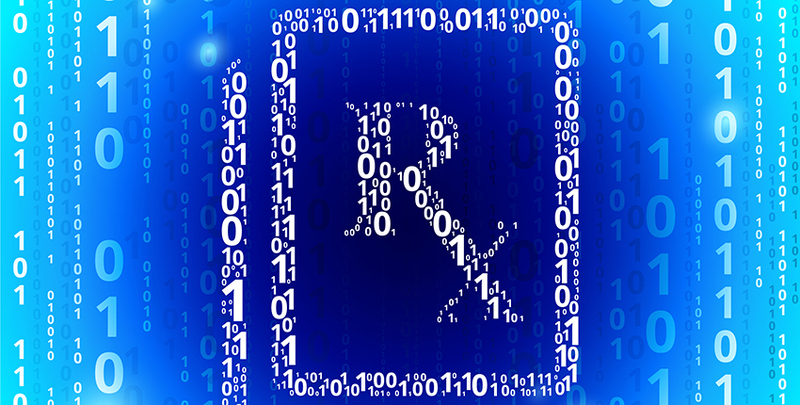 Because of these hurdles, reanalysis of pharmaceutical data is uncommon. In the interest of fostering new medical discoveries through reanalysis, Harvard Catalyst, Harvard University’s center for collaborative, university-wide clinical and translational research, recently partnered with Janssen Research & Development, a Johnson & Johnson company, to provide three Harvard investigators with a rare opportunity to work with clinical trial data. In 2016-2017, the investigators received pilot grant funding from Harvard Catalyst and access to Janssen’s Open Translational Science in Schizophrenia (OPTICS) Project, which catalogued the company’s clinical trial data on antipsychotic treatments and data from federally funded studies on schizophrenia. “This was my first time working with clinical trial data; I think it’s great for Janssen to open up that data to new analysis,” said one of the Harvard investigators, John Jackson, at the time a Harvard T.H. Chan School of Public Health postdoctoral fellow and now an assistant professor at Johns Hopkins Bloomberg School of Public Health. The investigators’ reanalysis of the OPTICS data led to three articles that appear in the June 2018 issue of Nature Schizophrenia, as well as an article in the American Journal of Epidemiology. In one of the articles, a summary paper, the collaborators jointly describe the OPTICS grant program. The other articles discuss new findings on adverse effects of schizophrenia treatment, how weight gain caused by the drugs negatively impacts treatment, and a model for more accurately interpreting clinical trial data while accounting for multiple variables. Harvard Catalyst’s Reactor program partnered with Janssen to create a pilot grant program that would test whether researchers could make valuable findings in a relatively short period of time if they were given access to large preexisting datasets. Reactor is dedicated to accelerating translational research by helping scientists innovate and potentially develop their work for clinical practice or commercialization. “The OPTICS Project demonstrates that existing data can be used to catalyze discovery and that access to new resources potentiates the work of talented researchers,” said Eva Guinan, director of the Reactor program and HMS professor of radiation oncology at Dana-Farber Cancer Institute. In addition to Jackson, OPTICS grant awardees were Sharon-Lise Normand, professor of health care policy (biostatistics) at Harvard Medical School, and Linda Valeri, HMS assistant professor of psychiatry at McLean Hospital. Each investigator received a one-year $50,000 grant and access to Janssen’s clinical trial data, as well as access to data from real-world studies and academic trials on schizophrenia funded by the National Institutes of Health and National Institute of Mental Health (NIMH). For Normand, the appeal of OPTICS was access to preexisting, high-quality data and the opportunity to complete meta-analyses of multiple clinical trials. Valeri was excited to obtain access to both the data and Janssen. “Pharmaceutical companies are at the forefront of drug development, so being able to work with them and make recommendations means being where the action is, where decisions are made that directly impact patients,” Valeri said. Harvard Catalyst first advertised OPTICS to university researchers in March 2015 at the center’s ReSourcing Big Data symposium, which featured discussions of big data as an evergreen resource that could be repurposed for other research projects. In an open session on the second day of the symposium, Marsha Wilcox, scientific director and fellow at Janssen Research & Development, discussed the OPTICS Project and the Janssen clinical trials, as well as the NIH and NIMH data on which the project was built. Wilcox explained how qualified researchers could apply for access to the OPTICS Project Bundle through the Yale Open Data Access Project, the OPTICS Project collection on the National Center for Biotechnology’s dbGaP (Database of Genotypes and Phenotypes) site, and the NIMH Repository. Participants from Janssen demonstrated accessing the clinical trial data on the SAS Safe Harbor platform. Wilcox was an eager partner for Harvard Catalyst’s data reuse plans, as Janssen had already instituted a policy of making its clinical trial data more accessible to researchers. Janssen and the NIH established the OPTICS data collections for this purpose. After Wilcox spoke, the Harvard Catalyst team invited attendees to submit proposals for research projects they would complete if given access to the OPTICS Project datasets. After evaluating the proposals, grants were awarded to Normand, Valeri and Jackson. With the grant came the expectation that the researchers would publish their findings and make any resources they developed while analyzing the data publically available. Normand performed a meta-study of multiple clinical trials to determine how different antipsychotic drugs contributed to excessive weight gain. The study focused on dosage, charting how the risk of weight gain increased with the build up of the drug within the participant’s body over the course of a regular treatment regimen. Normand found that a dose-response model of risk provided more accurate results than standard analysis, which does not take cumulative exposure into account. Valeri also looked at the weight gain caused by antipsychotic drugs, analyzing how that weight gain might affect other aspects of treatment. She found that weight gain was not merely an unfortunate side effect—it actually decreased the drugs’ effectiveness at improving symptoms of schizophrenia. Valeri is also publishing a separate paper that details the model she developed for taking into account multiple mediating factors such as weight gain when analyzing drug efficacy. Jackson’s study, which has yet to be published, focused on the high dropout rate of patients with schizophrenia in clinical trials. He developed a model and data visualization tools to better understand how dropout rates correlate to whether patients find the treatment ineffective. The study also found that clinical trials may be able to reduce dropout rates of participants for whom the first-line treatment is not working by offering them alternative treatment options in return for their continued participation. The investigators also worked with the Harvard Catalyst team and Janssen representatives to write the summary paper describing the OPTICS Project as a model for future programs. One feature discussed in the summary paper is how Harvard Catalyst’s project management encouraged collaboration. Although the three investigators had separate projects, the Reactor program regularly hosted meetings where they would present their research to each other and share ideas. “We talked about every aspect of the research, and other things too,” Valeri said. She described how Normand, a senior faculty member, not only helped the two junior investigators tackle data management issues but also gave them advice on how to mentor the graduate students they hired as research assistants. Normand also appreciated the collaborative meetings and said that they were a fantastic opportunity to troubleshoot issues together. Because the investigators were using the same data and similar research approaches, there was plenty of cross-pollination between the projects. In fact, Valeri and Jackson are credited as co-authors on each other’s papers and appear in the acknowledgements of Normand’s paper. The Harvard Catalyst team was pleased to see the meetings result in such fruitful communication. “We want to support the evolution of highly collaborative communities of researchers,” Guinan said. She believes that growing such communities is just as important for accelerating translational research as expanding researchers’ access to new resources. Although the OPTICS pilot grant project has now concluded, the researchers have kept in touch, especially as Jackson and Valeri continue to work with the data. A similar pilot program that focused on expanding the Human Oral Microbiome Database in conjunction with the Forsyth Institute is nearing completion, and the results will be published in the future. Harvard Catalyst also plans to create similar initiatives that provide investigators with access to resources for their research and opportunities. “We hope to build upon these pilots to create an increasingly evolved platform for collaboration between academia and industry,” Guinan said.